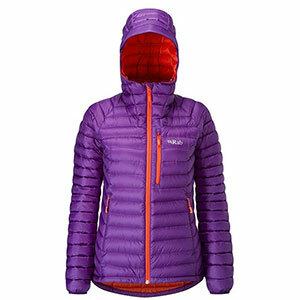 Rab Women's Apparel Clothing Microlight Summit Jacket - Womens Atlantis Extra Small QDA89AT08. 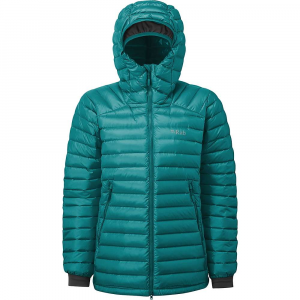 Constructed with cutting edge Pertex Quantum Infinity Weave fabric the Women's Microlight Summit Jacket eliminates the need for stitch through baffles reducing weight and increasing weather resistance. 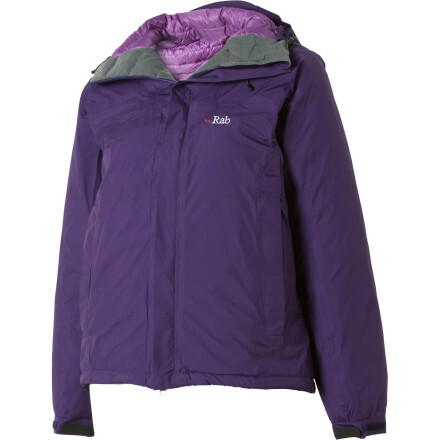 Filled with 750 fill power ethically-sourced hydrophobic down it combines warmth with increased wind and weather resistance. 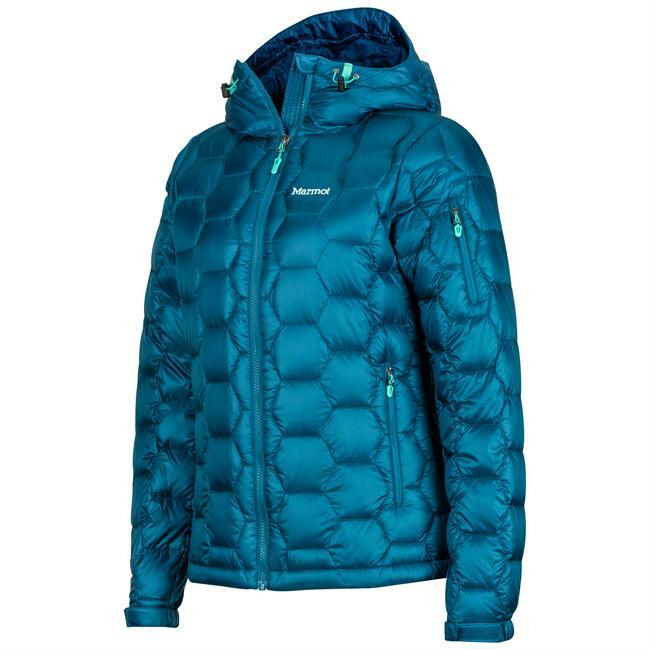 Perfected for moving fast in alpine environments the Women's Microlight Summit features a slightly longer fit in the body harness-compatible hand pockets and a two-way front zip with an insulated zip baffle and chin guard to maximise comfort. Stretch nylon cuffs fit easily over gloves while the helmet-compatible hood features an internal stretch gaiter to seal out wind. Internal stretch-bound hood seams reduce hood volume when worn without a helmet. 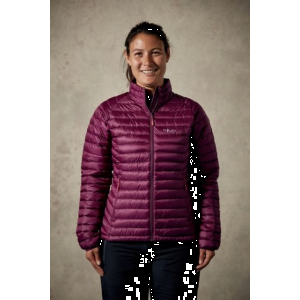 Inspired by decades of experience in the mountains the Women's Microlight Summit is a truly alpine jacket: lightweight and packable while offering increased durability warmth and weather resistance. Coming in for its tenth year around the block, the Rab Microlight Summit Jacket is a tried, tested, and much-loved layer for fast alpine assents. 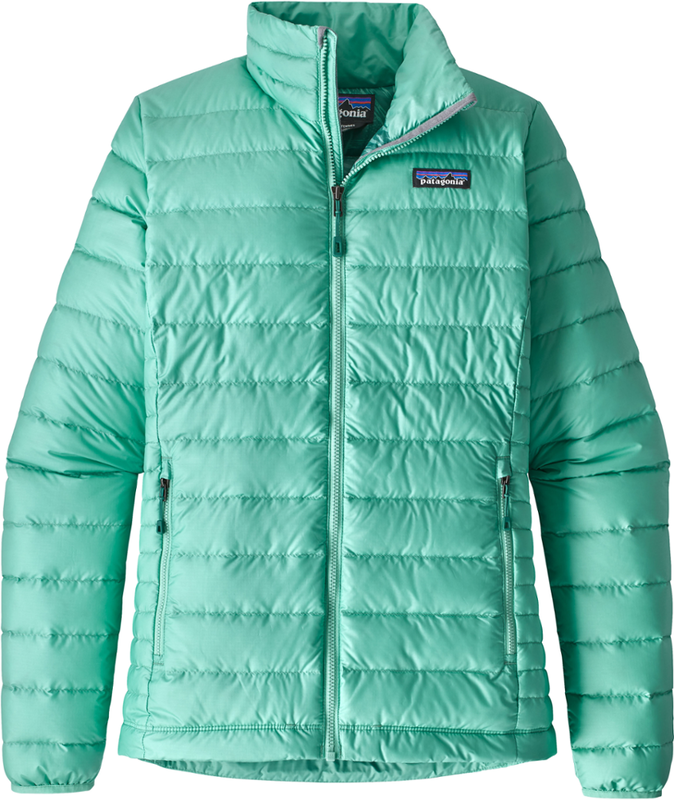 Filled with 750-fill European goose down, it offers incredible warmth that won't weigh you down--the Summit comes in at less than a pound. 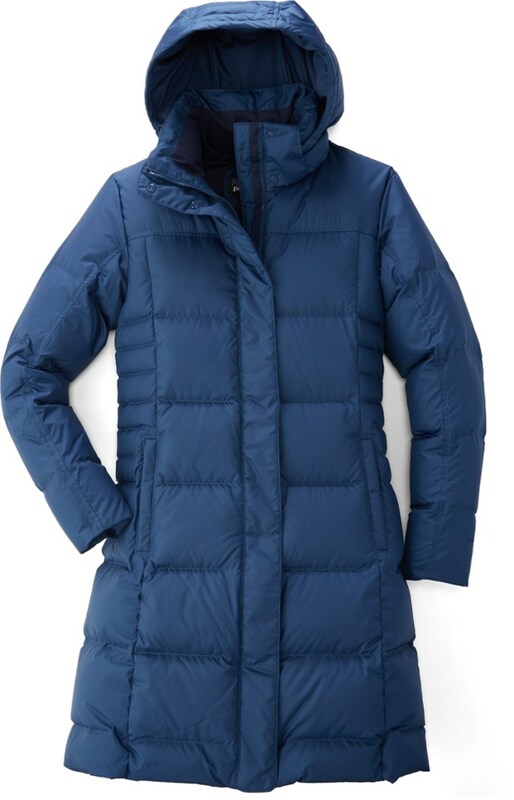 Ethically-sourced and treated with Nikwax, this down won't lose its loft (and therefore its warmth) if you encounter a wet patch or two, but you don't have to sacrifice lightweight packability in favor of synthetic insulation. Rab uses Pertex Infinity Weave in the shell fabric, a seamless baffle construction that boosts wind and weather resistance when you find yourself on razor-sharp ridges or windswept summits, helping you shed the cold when the going gets tough. Rab equipped the Microlight Summit with a number of features that are alpine-friendly. The hood fits over your climbing helmet, but uses an internal stretch hood gaiter to improve the fit around your face if you're not wearing head protection. The zippered hand pockets are placed for convenience with a harness equipped, while an included stuffsack lets you clip the packed jacket to a carabiner once the weather clears. The streamlined fit can be worn as your only jacket, yet will slip easily beneath a shell if a surprise storm rolls into basecamp.